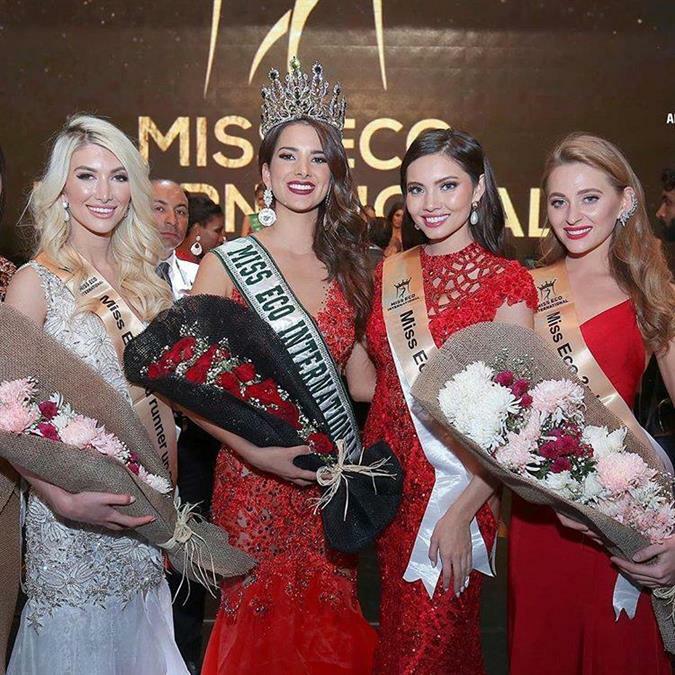 The fifth edition of Miss Eco International took place on 29th March 2019 in Cairo, Egypt, where the top sixty-five gleaming beauties from across the globe represented their respective countries and Suheyn Cipriani of Peru was crowned the new queen. The newly crowned queen’s court included Maureen Montagne of Philippines, who was adjudged the first runner-up and Jordan Elizabeth of the USA, who was declared the second runner-up. 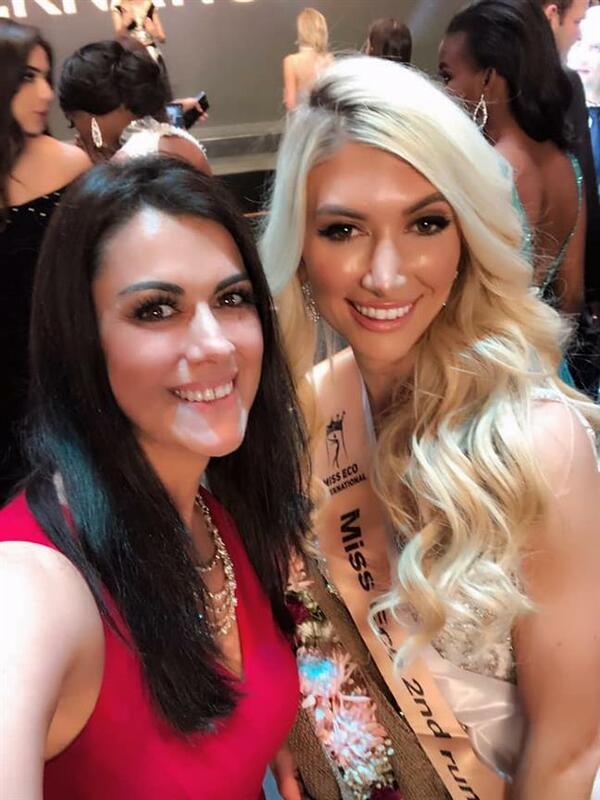 Jordan Elizabeth of USA became one of the favourite contestants among pageant fans for the title of Miss Eco International 2019 and this provided her with an extensive fanbase. From the very first preliminary round of Miss Eco Dress, the American beauty unfurled her glamour by wearing a black and white coloured gown made of recyclable material like photographs and quote tags. She managed to carry it sp beautifully that she added on the grace to her overall look. She looked scintillating with her confident cheerful smile on her face, wavy blonde hair and brown loop earrings. Jordan’s past pageant experience definitely boosted her zest and made her more confident than other contestants on the stage. The young beauty easily secured her place in the Top 21 finalists competing for the title. After the first round, she received a chance to represent herself gracefully in a glimmering silver knee-length dress. The young lady bloomed in the sparkly silver dress as this preliminary round rendered her the opportunity to flaunt her beautiful body and showcase her incredible runway skills which must be a walk in the park for the beauty as she is a professional model who has gathered plenty of experience in past. A big round of applause and hoots were heard when Jordan’s name was announced in Top 10 finalists in the finale when she appeared wearing gleaming white gown and looked absolutely dreamy. Once again, the level of excitement was geared up when her name was announced in Top 5 finalists and this gave birth to many hopes from her country fellows. In the final question and answer round, the diva was posed with a tricky question in front of her about her views on people who say beauty pageants objectify women. The diva confidently answered that it is completely false, as a victim of bullying it actually made her grow to be a stronger woman. Through pageantry, she got her confidence boosted up rapidly has met the most amazing advocates and ambassadors around the world. In fact, she delivered a message to all the ladies that one should join pageantry in order to build sisterhood and feel confident. Overall, Jordan’s performance was splendid and through her performance she made her nation live in the wave of pride.